In my work with CicLAvia, I’ve been enjoying passing the time sometimes in Hollenbeck Park in Boyle Heights. It’s a great historic park in a great historic neighborhood, well-loved by the community… both community and park have been degraded by freeways… but both community and park are hanging in there doing all right. 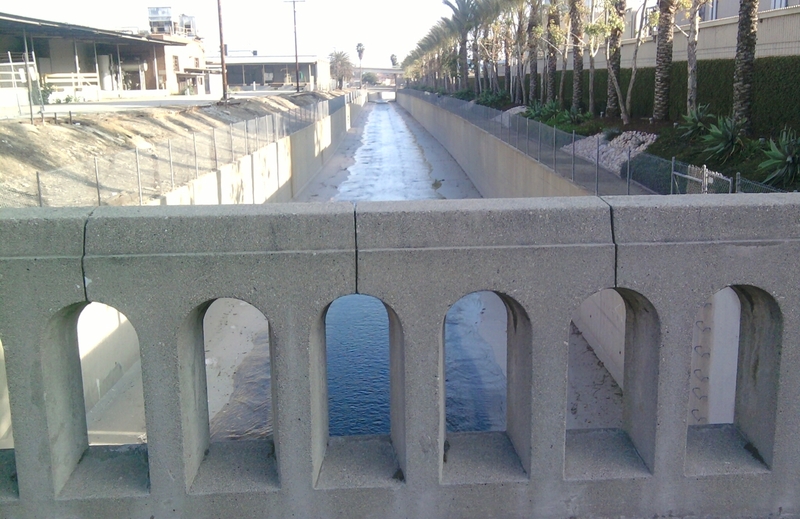 The Burbank Western Wash runs pretty anonymously through the city of Burbank, and a tiny bit of the city of Glendale, then enters the L.A. River at a confluence just upstream of Bette Davis Picnic Area. As far as I know, it’s all concrete box-channel. There’s not too much going on there, though the city has a few bike paths planned. 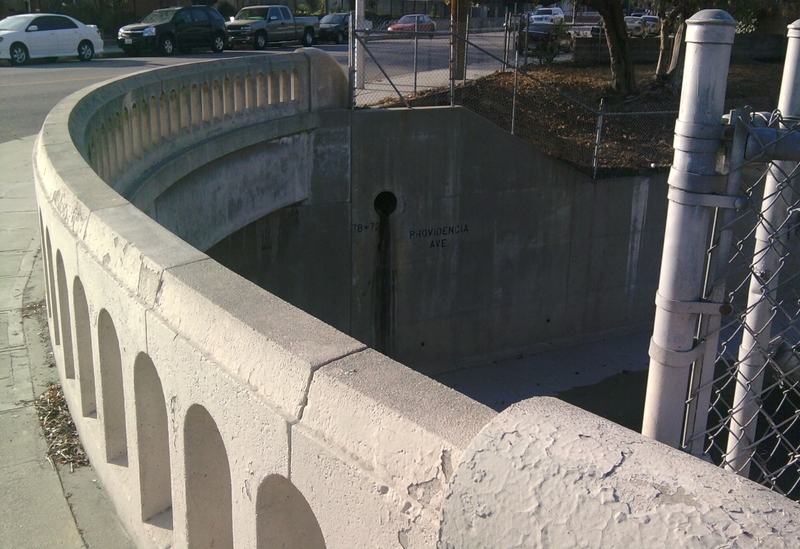 I first explored the Burbank Western Wash (sometimes called the Burbank Western Channel) while I was tracking down bridges for my book, Down by the Los Angeles River. A librarian friend found me a Caltrans list of all the bridges in Los Angeles County. I reviewed the date on each bridge and bicycled out to check out every L.A. River watershed bridge built before the mid-1950s. The 1940 bridges feature decorative metal railing, with concrete posts, and a modest arch below. 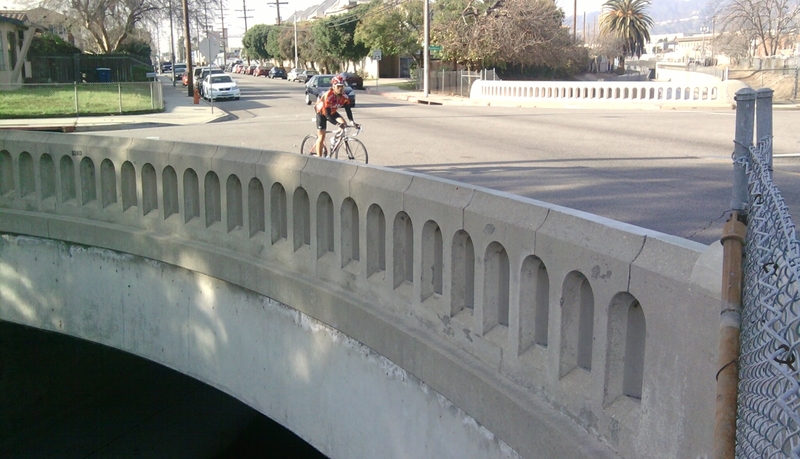 The 1949 bridges all feature the same pleasant concrete railing, ending at quarter-circle-shaped approach walls. They’re flat – no arch. Not bad, not spectacular or flashy. SIGN THE PETITION TO SAVE THE ARCADIA WOODLANDS! D-DAY (DEMOLITION DAY) IS TOMORROW!!! : Cam Stone reports that at 11:15PM tonight, he witnessed a large flat-bed truck passing by his house on Elkins Avenue (driving away from the gate that leads to the Woodlands), followed by what appeared to be a government vehicle (black Crown Victoria). This likely means that the heavy machinery will be on site for work in the morning. Time is near gone for the venerable oaks and sycamores of the Arcadia Woodlands. Protest at Elkins Avenue gate: As a last-ditch effort, supporters will gather at the Elkins Aveune gate at 7:00AM sharp to protest the destruction of the Arcadia Woodlands. If you are available tomorrow and at all vested in this issue, this is most likely your last opportunity to act. Directions: From the 210 Freeway, head north on Santa Anita Avenue (for approx. 1.5 miles), make a right on Elkins Avenue, drive about 1/2 mile to the end of Elkins, the gate is at the end of the road. City of Arcadia finally recognizes the project is flawed: As reported in the Arcadia Patch, the City of Arcadia sent a letter to Supervisor Michael Antonovich this morning explaining that they were now (finally) aware that the Santa Anita Reservoir Sediment Removal Project may actually result in more truck loads through the neighborhood rather than less (as was explained by the County during the EIR process… the idea of trucks driving through Arcadia neighborhoods on a continual basis was not well-received in the community and public opposition led to the County’s choice of the plan that would clear the Woodlands to prevent trucking through the neighborhood). 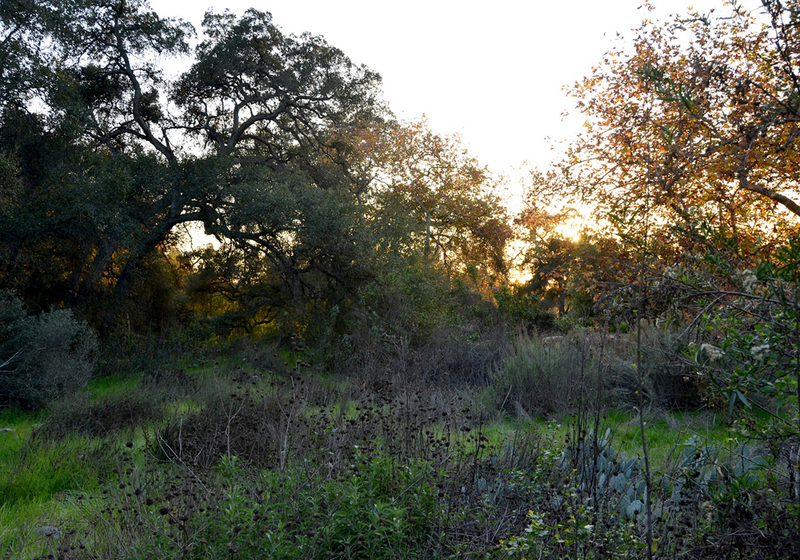 The City of Arcadia expressed concern because by destroying the Woodlands, the County would gain 500,000 cubic yards of space for future sediment dumping (not all of which would come from Santa Anita Reservoir but from seven other debris basins outside the City of Arcadia as well, which means… trucks through Arcadia neighborhoods). This was not communicated by the County during the EIR process… while welcomed with open arms, the letter from the City of Arcadia may be too little too late. 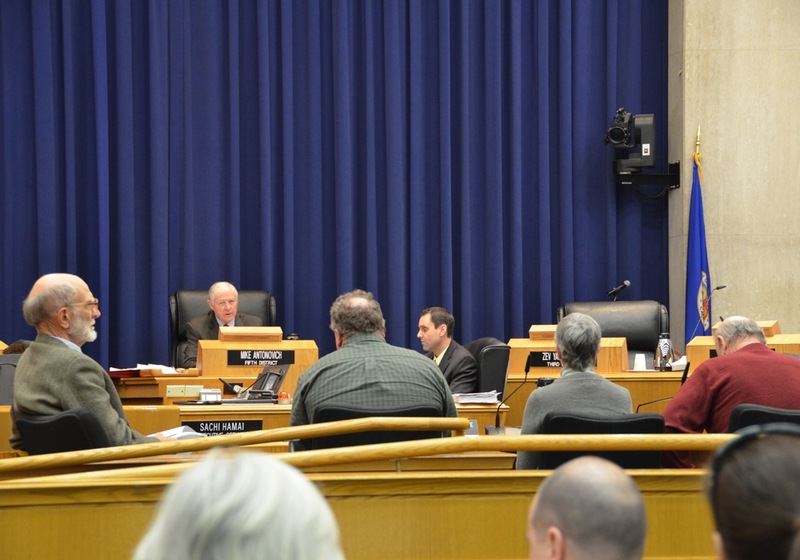 Woodland supporters voice their concerns before the L.A. County Board of Supervisors (to no avail…): Despite being excluded from the agenda, approximately twenty supporters of the Arcadia Woodlands appeared at the L.A. County Board of Supervisors’ weekly meeting today. Many spoke eloquently and passionately on the topic during the public comment portion of the meeting, but since the Board cannot deliberate on non-agenda items, no action was taken. Oaks and sycamores line the access road adjacent to the Arcadia Woodlands. 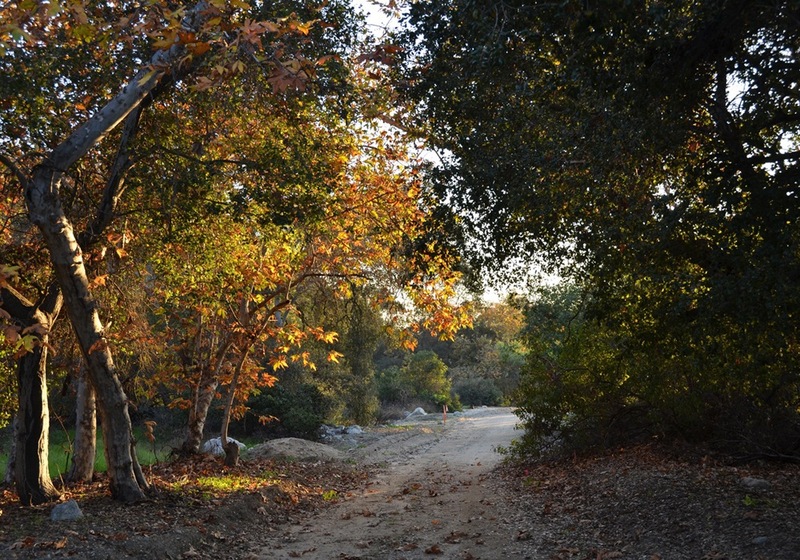 Arcadia Woodlands on Fox 11 News: Glen Owens (Monrovia Planning Commissioner) and Cam Stone (Arcadia resident and Woodlands Advocate) were interviewed by Hal Eisner of Fox 11 News a short time ago. The piece will air during the 10:00PM news hour tonight. Protest scheduled for tomorrow: The following message is an excerpt from a press release composed by Christle Balvin of Hintz & Balvin Communications: “Halt those bulldozers and switch off those chain saws” will be the message delivered by a wide-spread coalition of Arcadia neighbors and environmentalists massing in front of the Board of Supervisor’s at 9:00 a.m. on Tuesday, January 11th at 500 West Temple in Los Angeles. If you are interested, by all means join in! L.A. County Board of Supervisors Meeting: Despite numerous phone calls, letters, and emails, the Woodlands did not make it onto the supplemental agenda for the Board meeting tomorrow. However, there will be a contingent of supporters on hand to voice their opposition to the destruction of the Woodlands. If you wish to have your voice heard, show up early and fill out a speaker card. The board cannot act on any item that is not on the agenda, but if enough voices are heard, perhaps Supervisor Antonovich will be moved to action. Arcadia Woodlands on YouTube: On Saturday (Jan. 8), Cam Stone and Kevin Breckner (Time River Productions) visited the woodlands and were spotted by security guards who promptly contacted the L.A. County Sheriff’s Department. The confrontation was uneventful and led to no penalties, but the visit did produce what might be some of the last film footage of the Woodlands. 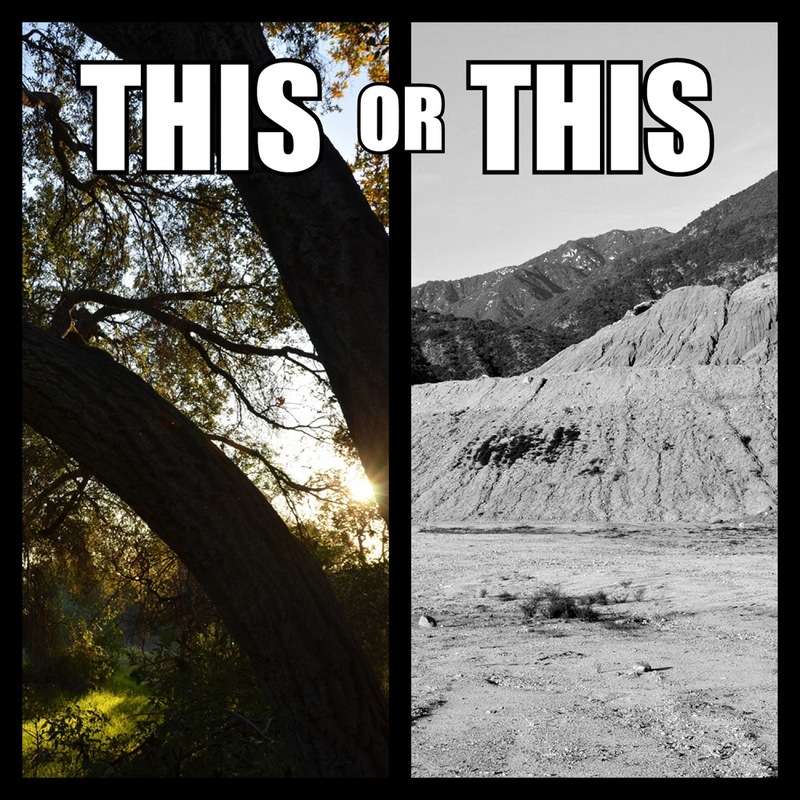 The YouTube video “Santa Anita Wash Oak Grove Threatened” has over 200 hits as of this post. Arcadia Woodlands on Facebook: Save the Arcadia Woodlands group HERE. Petition Update: The online petition to save the Arcadia Woodlands has over 1,300 signatures as of this post! According to trustworthy sources, the Department of Public Works plans on continuing with the project as is and states that it completed all procedural work correctly, despite an otherworldly lack of communication! Work will resume (and chainsaws will bite) next Wednesday, January 12th unless extraordinary action is taken by the Board of Supervisors. It’s time to flood the lines of Supervisor Michael D. Antonovich! Please call (213) 974-5555 to request that this item be added to the Board of Supervisors Agenda for this Tuesday (1/11/11). Today is the last day supplemental items can be added! 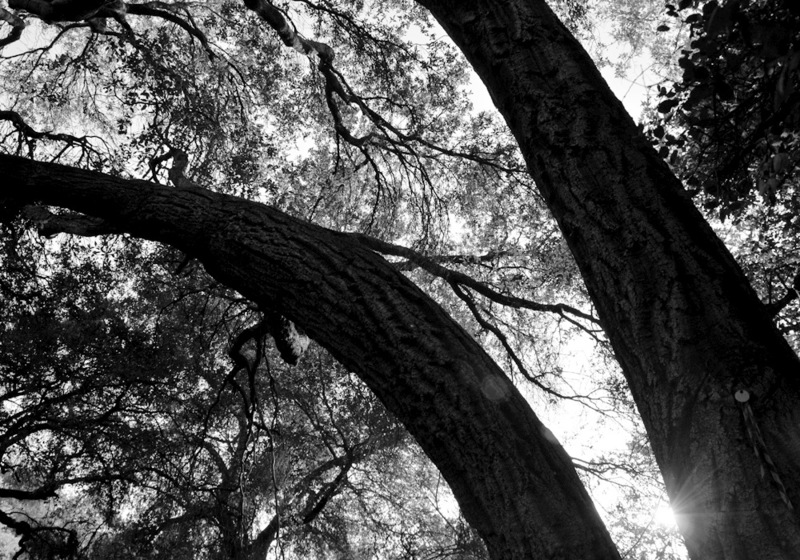 Click HERE for what might be the last film footage of the Arcadia Woodlands. You are currently browsing entries tagged with sycamores at L.A. Creek Freak.